Sir Charles Napier | Can Men Cook? The Sir Charles Napier – lunch to shout about! It is obvious when love strikes. You can feel it in the air. The team at The Sir Charles Napier love their food and their work. You can’t fake that. If you pop back to November in the archive you will see our last visit there was a Fungi Foray. Today we visited for an ordinary lunch. Wrong word – an extraordinary lunch. This place is a proper gem. (Spriggs Alley, South Bucks, north of J5 and J6 of the M40 – see web site here ). Two course lunch menu is £17.50. Yes, it does have Michelin stardom, so this feels a bit of a bargain? And that feeling would be spot on. 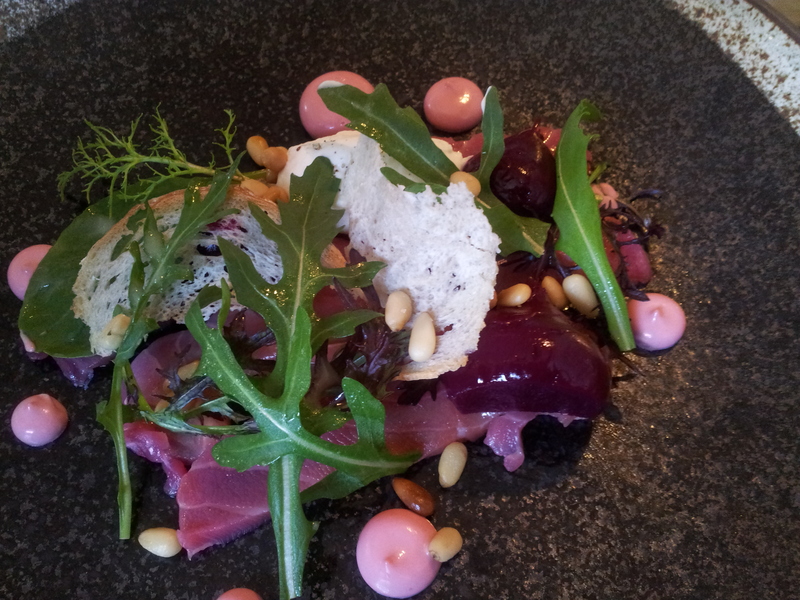 Here’s our choices: Beetroot cured salmon with horseradish cream. And yes, the salmon was beetroot in colour – but the horseradish was very creamy and only hinted at fire. Some chefs go overboard in the hot accompaniment, when the fish or shellfish are quite subtle. I hated the fashion for chillies with crab – it seemed a waste of both ingredients to me. 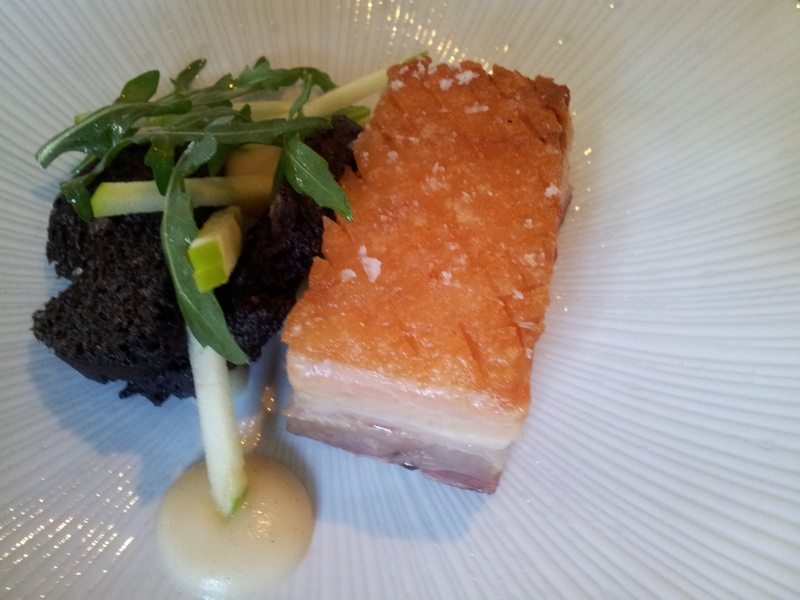 The other start we chose was Tamworth pork belly, stornaway black pudding and vanilla puree. Wow. (Oh – we both taste each others, so I am speaking from personal experience here). The black pudding was weirdly wonderful. Dry – un-fatty, I suppose, but fluffy and creamy and moist in itself. I told you – weird. But absolutely scrumptious, and heightening to all around it. Mains? 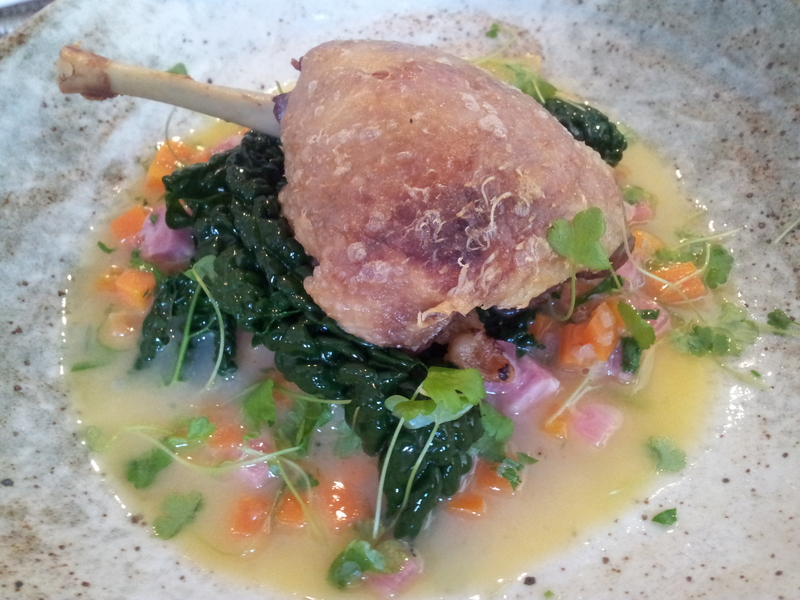 Confit duck with flageolet bean cassoulet and calvo nero. Duck was melting and positively gamey – and pink enough for me – which I do prefer – not uncooked, but definitely cooked through. 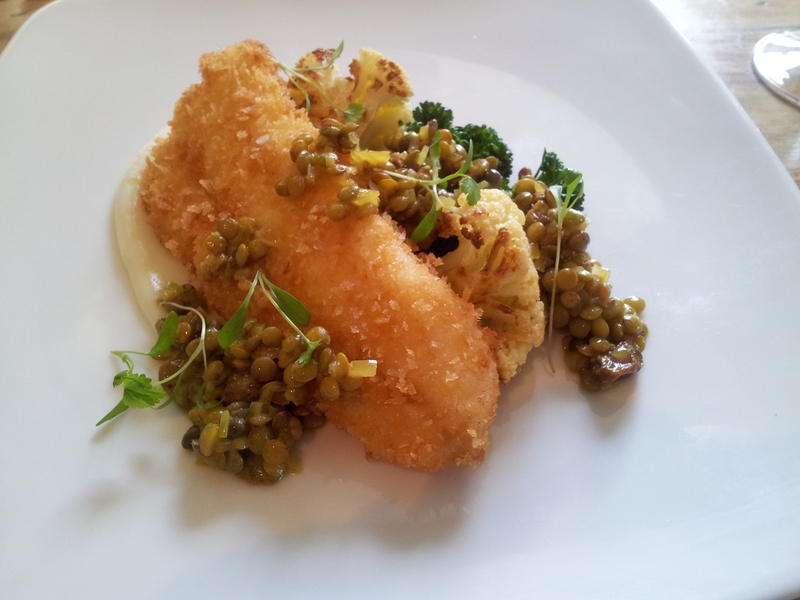 And Breaded haddock with roast cauliflower and puy lentil dressing. This was a bit of a Friday throwback, although not exactly fasting level fish and chips, it was just powerfully fishy. Now, I think I may have hit the secret. Great ingredients, from great suppliers, lovingly served simply in themselves, but with complex accompaniments. We shared a pud – and I will tell you that you should have a pud too. And there’s more joy. We overheard someone asking how long the owner Julie had been there. “42 years” she replied.